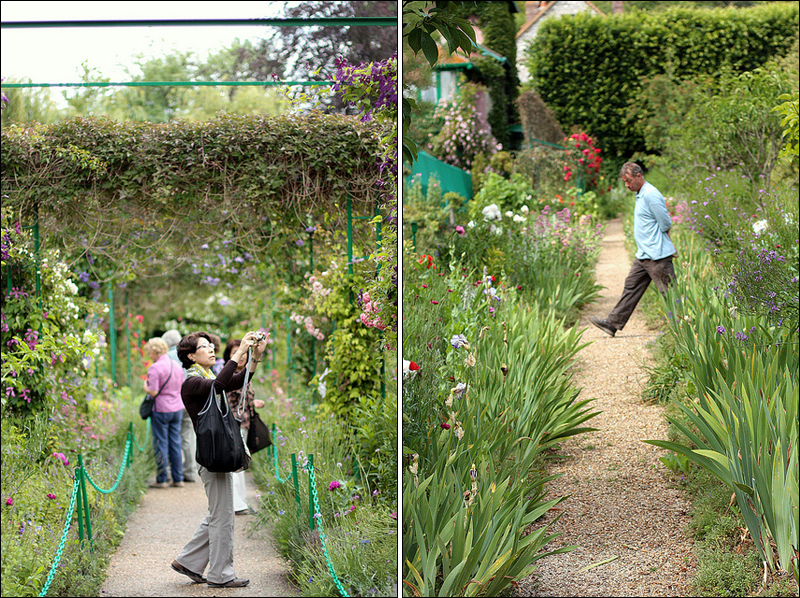 I learned about Claude Monet’s house and gardens at Giverny from a blog and when I saw the photos, I knew we ought to go there. 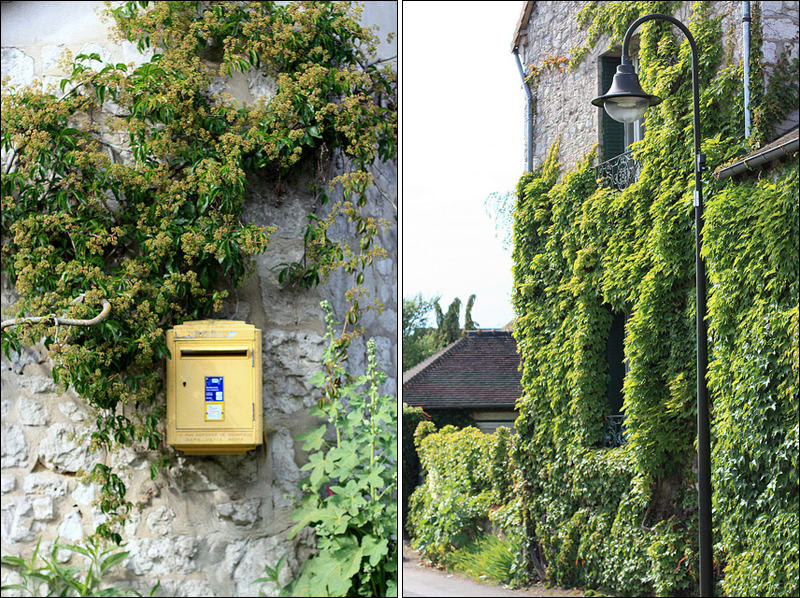 Giverny is 81 km. (50 miles) Northwest of Paris, bordering the Normandy and Île-de-France region. There are tour companies that offer day trips from Paris but we chose to take the train and go there on our own, at a much lesser cost. To get here, one must take the train from Paris’s Gare St. Lazare train station to Vernon, a 45-minute journey. 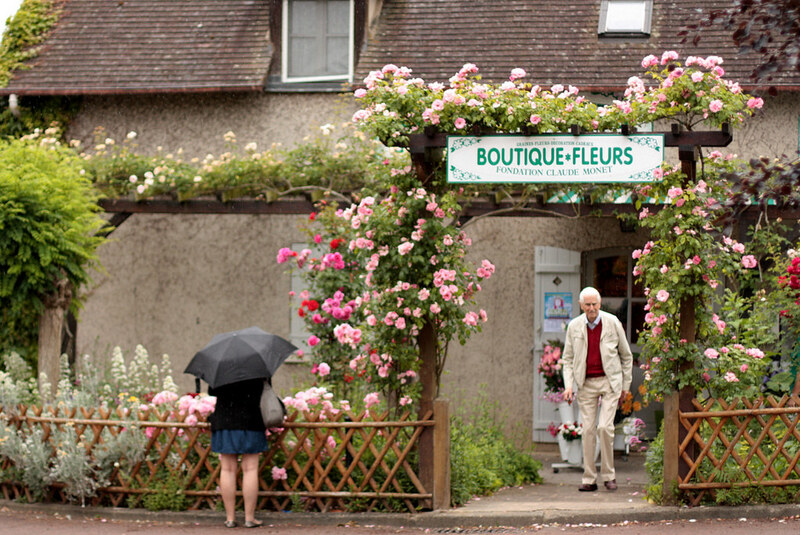 From Vernon, take the shuttle bus to Giverny, around 20 minutes. Trains depart from Paris every two hours, starting at 08:20, and there are 4-5 trips in a day except in the winter season. A second-class round trip train ticket costs 25,60€. 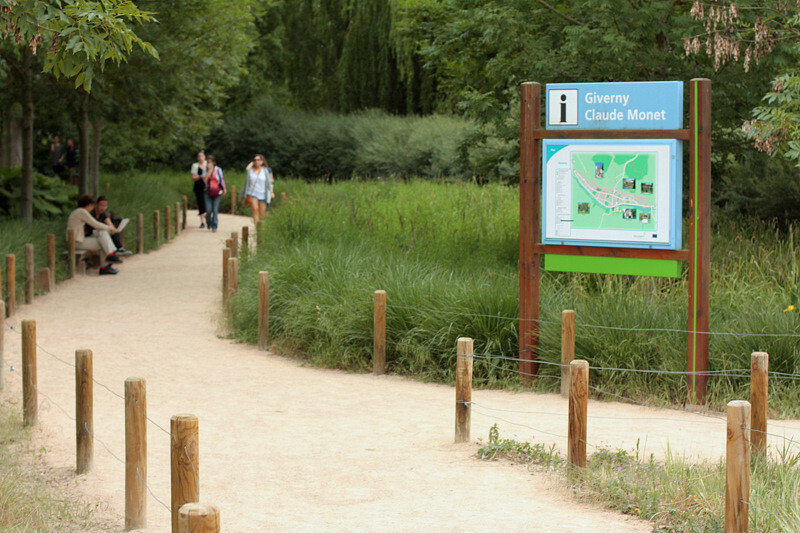 There are corresponding shuttle services from Vernon to Giverny, and a round trip ticket costs 4€. You may want to get the timetable from the Gare St. Lazare information office to know about the daily schedules– they have a fixed train schedule from April through November, but these may change on public holidays. We planned on taking the first trip to Giverny but we woke up late, so instead we decided to take the train the leaves a little after noon. Getting to town was fairly easy. It was leisurely 15-minute walk from the bus stop to Claude Monet’s house, and along the way there are plenty of little shops, ateliers, galleries, B&Bs, cafes. 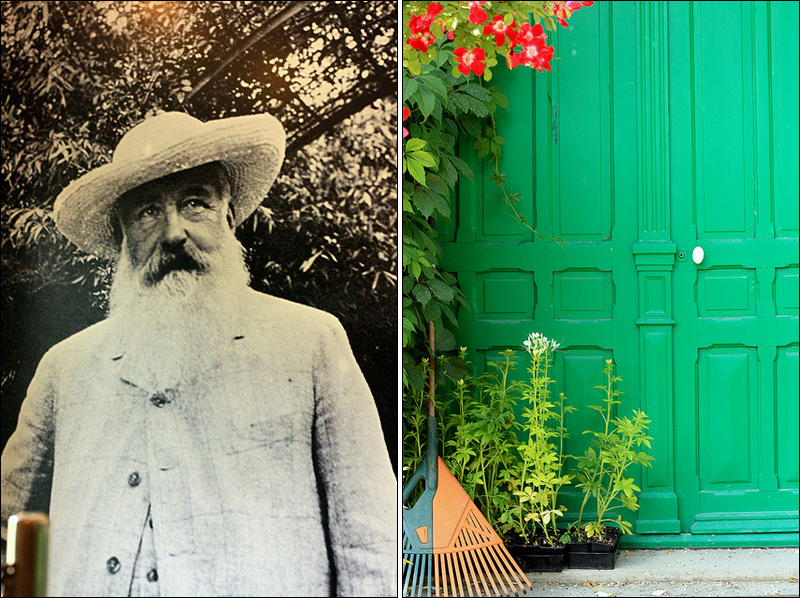 Claude Monet, the great Impressionist painter, moved to Giverny in his 40s, along with his wife and 8 children. 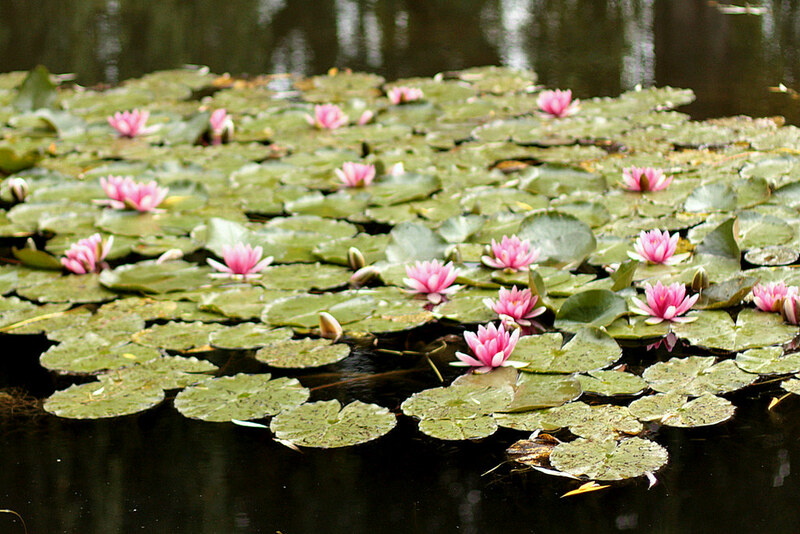 He stayed here until his death, built a lovely family home with green shutters, planted a garden and dug a waterlily pond. He continued to paint until his death. 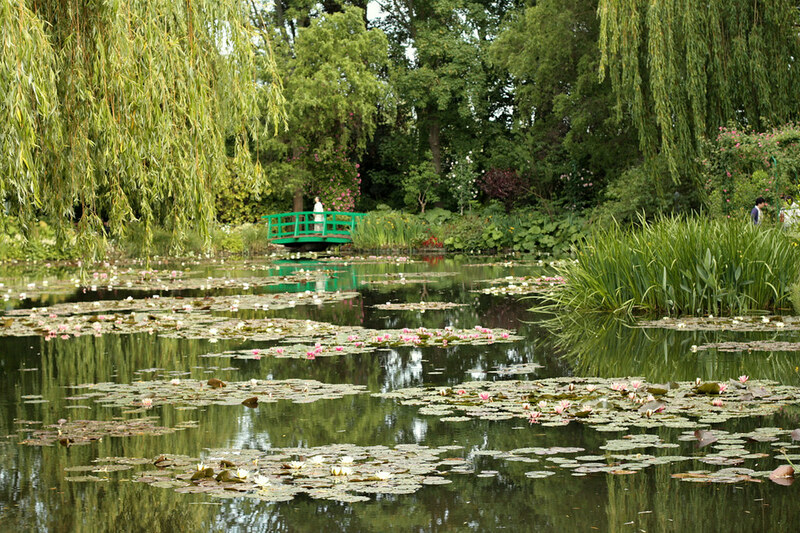 When Monet died in 1926, his son Michel inherited the property but abandoned it, leaving it in a decrepit state. It was only restored in the late 70s by Gerald van der Kemp, the same person who restored Versailles. It was forbidden to take photos inside the maison but I sneaked in a few before getting scolded by a British old lady. Each room in the house was painted a different color, exactly as they were when Monet and his family lived here. I particularly liked the kitchen painted in sunny yellow, the rustic long table and gingham drapes.. so shabby chic. There are plenty of prized 18th-19th century Japanese prints all over the walls of the house, and I particularly recognize the Waves by Hokusai. The crowds and large tour groups can be a bother and might keep you from taking good pictures, so we usually took our sweet time and waited for them to leave. I heard somewhere that the Japanese are big on Monet for some reason, and that explain most of the visitors are from Japan. Le Clos Normand- the 1-hectare walled garden with trellises of ivies, roses, lilies, irises, and other floral species I cannot identify. 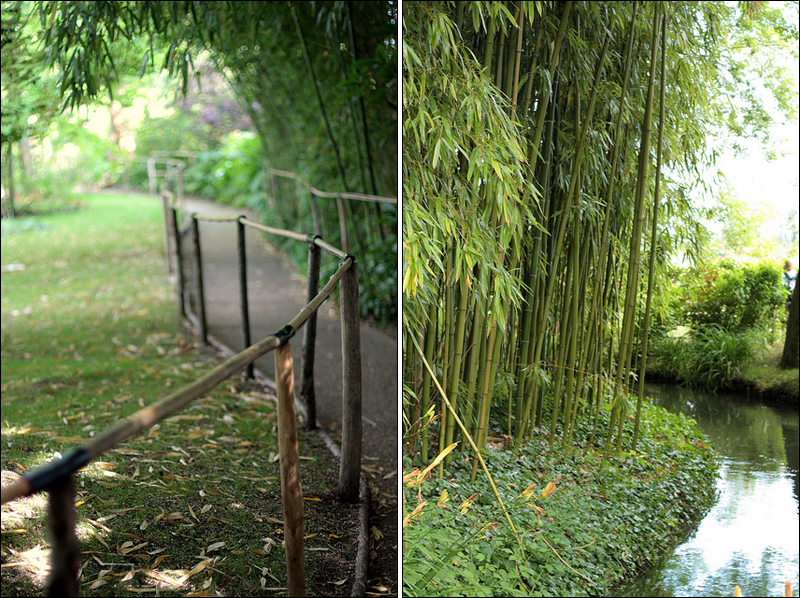 You could clearly see Monet’s interest in Oriental / Japanese aesthetics with the bamboo garden and the Japanese bridge. 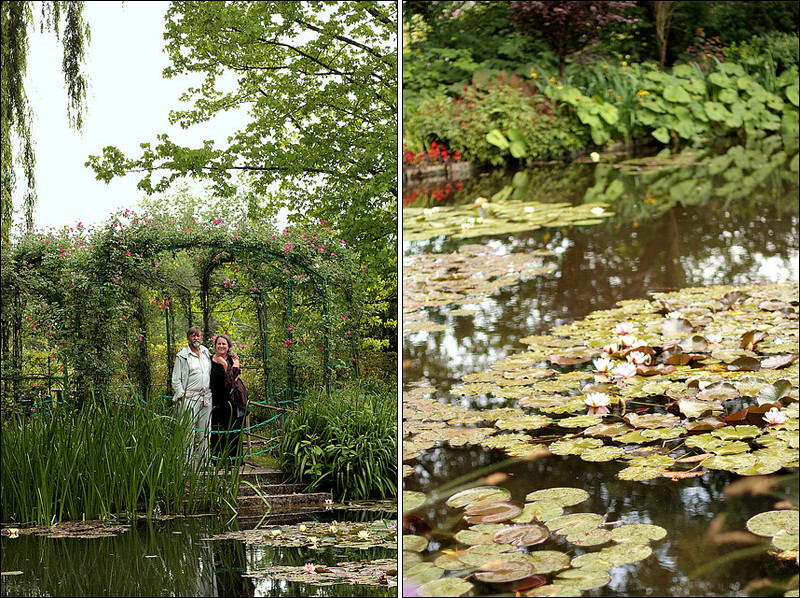 Scenes from Le Jardin d’Eau, the water garden. It’s almost closing time but in this side of the world, the sun is still up until 10pm. 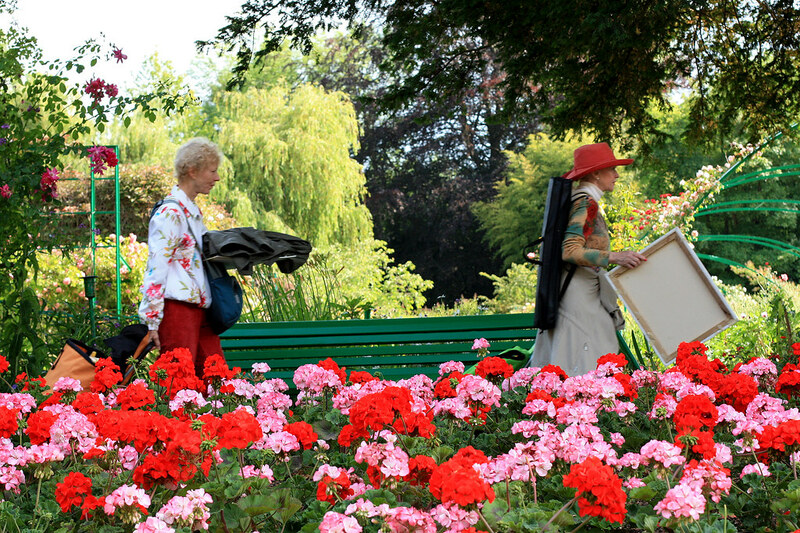 Artists arrive with their canvases as soon as the tourists leave. So very glad that we went out of our way and took a little day trip to this charming village, it was lovely to be able to walk through the gardens as if stepping into an Impressionist painting. 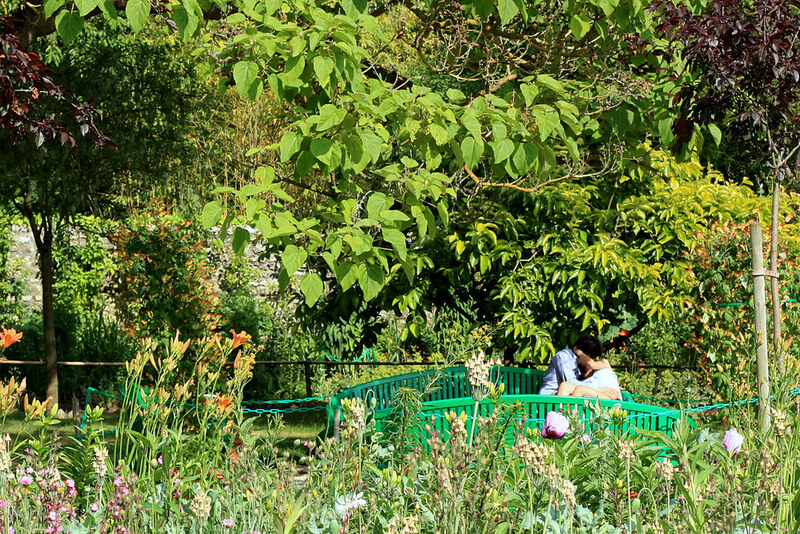 What the gardens look like now still look eerily similar to Monet’s paintings from a century ago. love your photos! the last one is especially pretty. the colors are so striking. when i was single, i loved heading out on my own too. some tours make me impatient. ha ha ha. 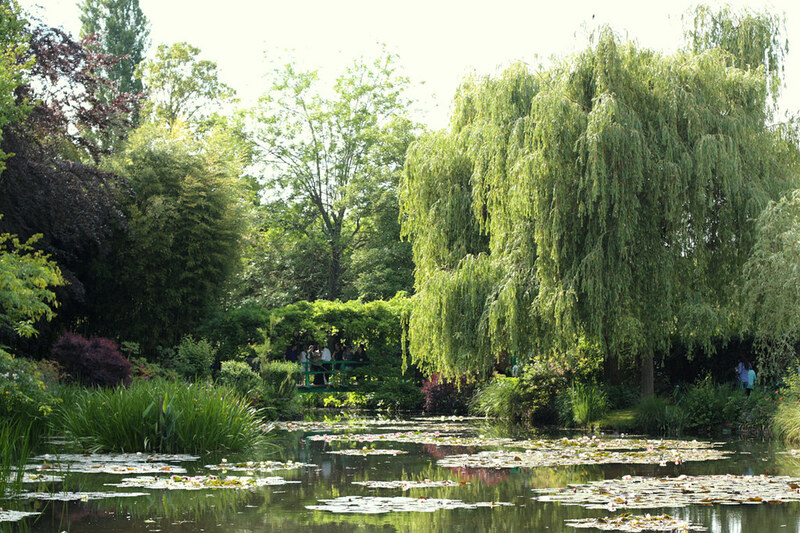 giverny is really lovely…it looks similar to a garden near here, with the bridge (except its red here) and the oriental influences. 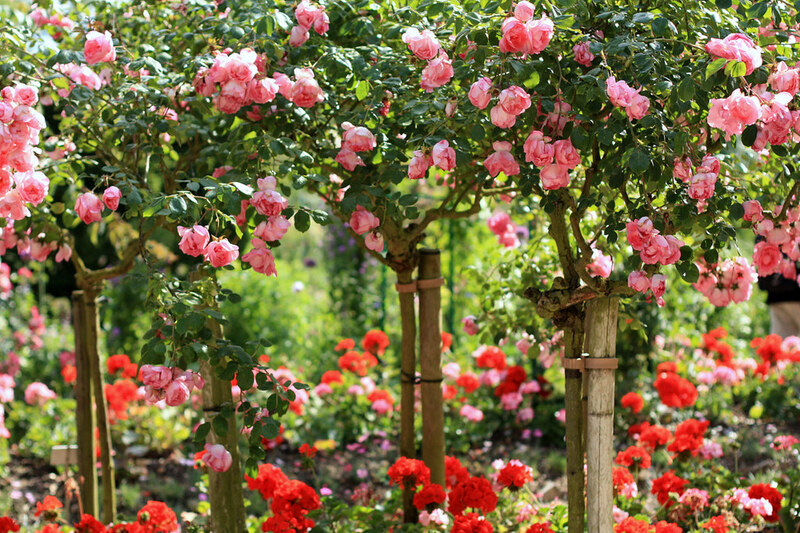 in france, i was always struck at how gardens look so much like the paintings, and vice versa. 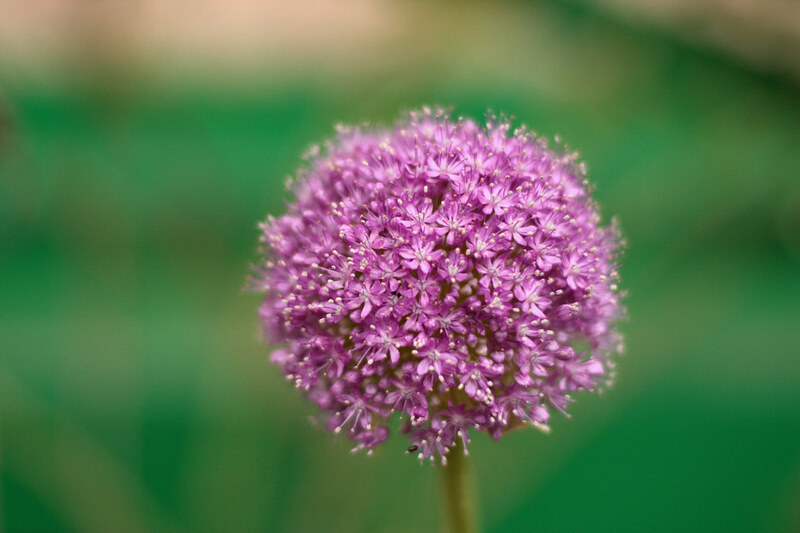 the natural inspiration is so clear. here’s to more travels, francesbeanp! Thank you 🙂 I only took 1 day tour on my trip, and it’s true it can make one impatient.. and for a pseudo-control freak like me, it can be hard. haha. 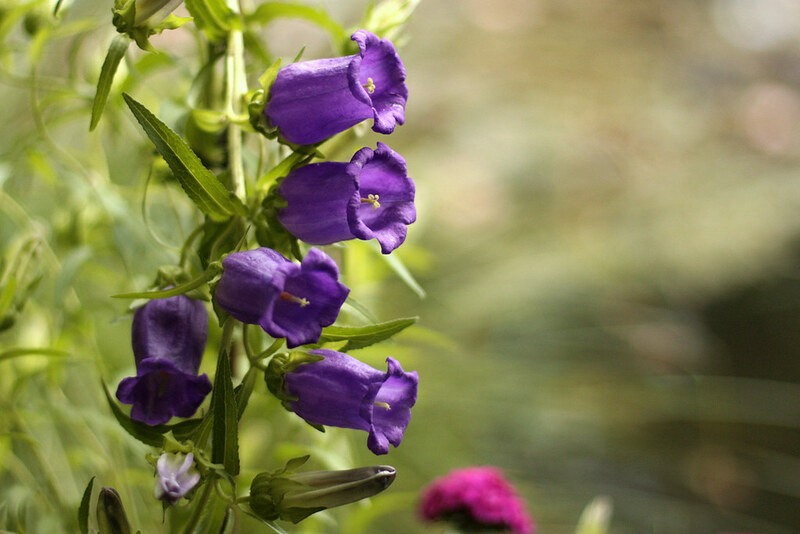 Please share the pictures of that garden when you find the time! I haven’t really had the chance to visit other places in France, I would love to one day.